[twitter]I’ve never lived in a city where people were so fiercely proud of where they lived, but were so eager to escape. Winter or summer, no matter, come Friday afternoon the cars/trucks/campers/boats are packed and people escape Calgary and head north, south, east and west. After spinning a compass, we headed west and made our weekend escape to Canmore, just outside the gates to Banff National Park. 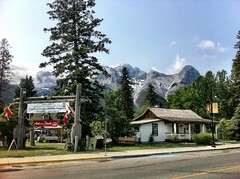 Canmore is home to golf courses, hiking trails, fishing, cross country skiing, trails, mountain biking, camping and more. The town is going through a renaissance of sorts as many chalet styled vacation properties are sprouting up. We were guests of Spring Creek Mountain Vacations to spend a night at their new Rundle Cliffs Luxury Mountain Lodge. The Lodge is a typical mountain resort; 4 floors with chalet styled suites featuring fireplaces, spacious bathrooms, modern kitchens, in suite laundry, relaxing bedrooms and a deck with bbq. We arrived late on Saturday afternoon and were delighted to find a playground on the property in the shadow of The Three Sisters. The living space is an open floor plan that allows easy entertaining of family and/or guests. Thoughtful and expected living amenities are enhanced with the most stylish contemporary mountain décor and furniture. Wake up to a morning tea or coffee – it’s all thoughtfully there for you. Hard wood floors are in the kitchen and living room that boasts a central real rock fireplace. The resort is a mixture of rental and private accommodations. The units are for sale, with owners mixing with renters in the 3rd floor hot tub. I chatted with one owner who has two suites in the property to share amongst his 5 kids and loves that the property offers such a remote escape in the mountains just a 70 minute drive from downtown Calgary. While having a feeling of being nestled amongst the wilderness, Rundle Cliffs Luxury Mountain Lodge is a simple 5 minute creekside walk from the main strip of Canmore that is home to artisans, shops and restaurants. We ducked into Luna Blue for dinner, a family friendly fresh pasta restaurant. The place is pleasant enough and many other families followed us. A bottle of wine, two pasta entrees and a kids’ pasta was $85 with tip. 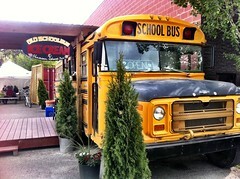 After dinner we walked two blocks back for dessert at Old School Bus Ice Cream. The ice cream is nothing special, it’s simple stuff you could buy at a grocery store, but buying it out the side of a school bus makes it fun. Across the street from the school bus is The Grizzly Paw. It’s a microbrew pub that serves all you would expect: burgers, fries, wings and fajitas alongside pitchers and pints of their own concoctions. Just down the alley from the pub is an off-sale store where you can get cases and half sacks to bring home. Grumpy Bear Honey Wheat and Beaver Tail Raspberry Ale are two of our faves, but you can get sample packs with a variety of brews. While walking around the town, be sure to fire up the geocaching app on your smartphone. There are easily a dozen within a short walk of each other. The first one we discovered is just past The Big Head. The sculpture greets visitors to the downtown strip and was commissioned to symbolize the town’s namesake (big head in Gaelic is Ceann Mór). The $40 000 public art piece stirred up controversy when it was commissioned, but now proudly welcomes visitors to town. 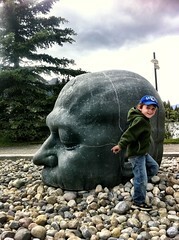 Note: make sure you place a stone in the big head’s ear for good luck and follow the big head on Twitter. 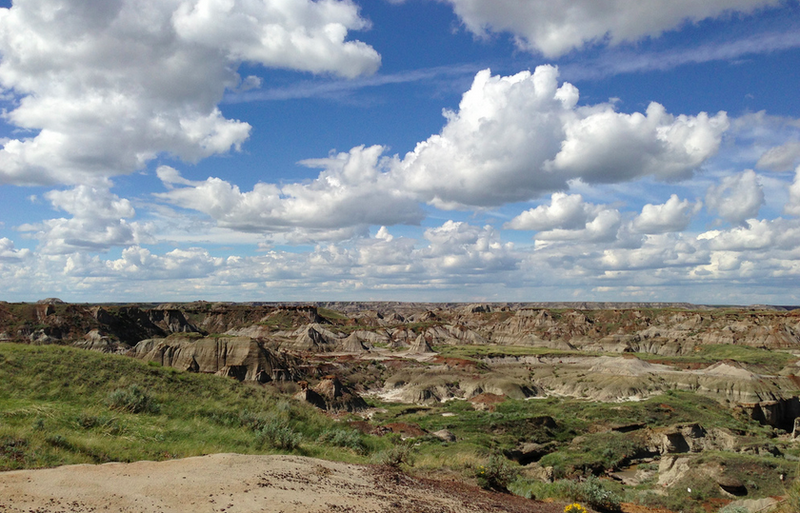 Mountain bikers, cross country skiiers and trail runners will get their fill at the Nordic Centre Provincial Park, home to kilometres of trails that are usable year round. 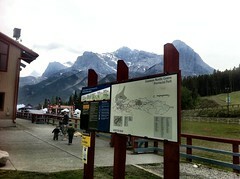 Just past the Nordic Centre is the popular Grassi Lakes Trail and the road leading into K Country. 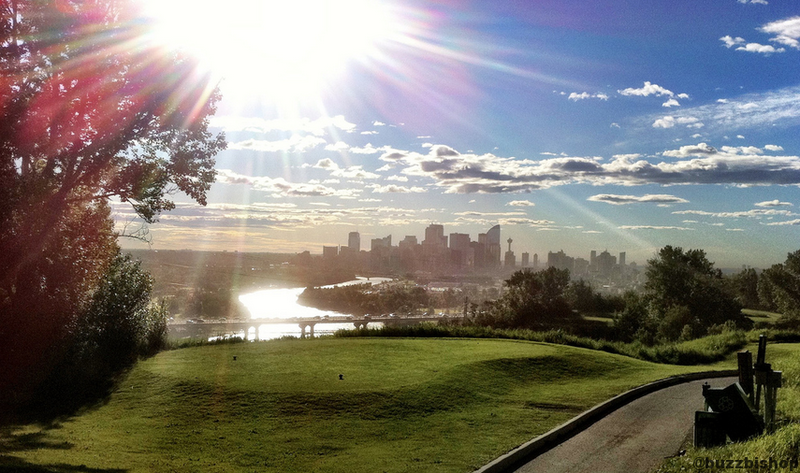 Across the Trans Canada from the townsite is Silver Tip Resort, a true mountain golf gem. You’ll only need a 4 iron to drive all the fairways on this course, the alpine air means your ball flies long and true. Just be sure to pack an extra sweater – even if it’s warm in the valley, it can be chilly on the side of the slope. Banff and Lake Louise may be the jewels of the Rockies that get all the press and attention – for good reason – but making a home base just outside the park makes sense too. 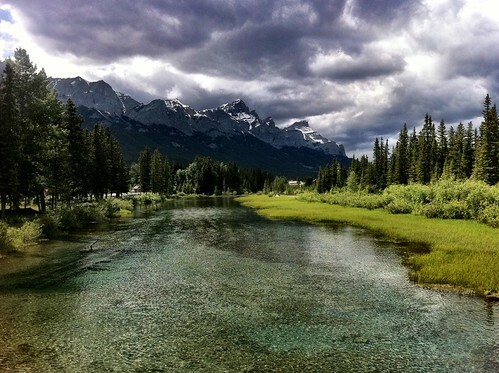 Canmore is where many of the people working in Banff and Louise live, meaning you have a more “local” experience to your Rockies adventure than the tourist-centric spots in the park. Great to hear you and the family enjoyed your getaway! Love the photographs, especially the panorama. 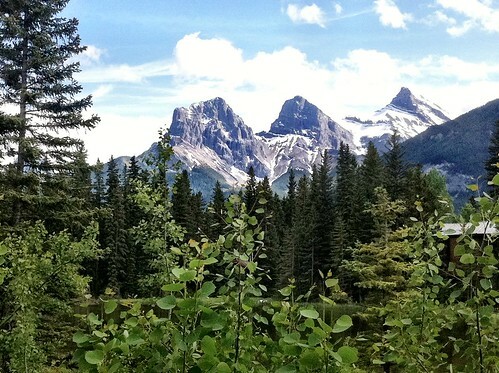 Here’s another fun piece of trivia for ya – the Three Sisters (the distinctive peaks that tower over town) are named from left to right Frances, Olive and Grace. If folks are interested in planning their own getaway, they might be interested in Tourism Canmore’s 30 Days of Canmore – daily deals that include lots of cool things to do, places to stay, shopping and delicious dining. Deals are designed for families, golfers, adventurers, food lovers & more and include discounts up to 50%. 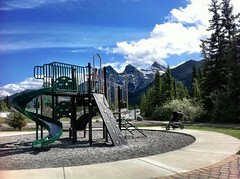 Hope we’ll see you back in Canmore Kananaskis soon! 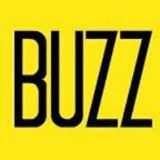 Some really nice looking pictures Buzz. That is the type of country setting that I would love to visit. Even though I live in Florida where we have some beautiful places to visit, I wish I lived closer to these cooler climate resorts. On a side note, because I know you have run for diabetes, I wanted to let you know that I started a new blog to chronicle my diabetic journey as it has taken an unexpected turn in the last few days. I used it as my website link this time instead of my education blog.